If you require additional information on this or any FGE service, or you would like to discuss ways in which FGE can assist you further, please contact a member of our sales team. FGE’s 15th Annual Assessment of the Bunker Fuels Market. FGE’s detailed assessment looks in-depth at the future of bunkering, with a deep dive on the upcoming IMO bunker specification changes. We use our proprietary bottom-up supply and demand models as a foundation for examining the options available to both shippers, refiners and bunker suppliers, as well as the likely overall outcomes of these changes in unparalleled depth. On January 1, 2020, the IMO (International Maritime Organization) will be implementing a cap on the amount of sulphur in fuel oil used on board ships (without exhaust gas cleaning systems—or scrubbers). This upcoming bunker specification change will be the biggest upheaval the refining and shipping industries have ever faced. Indeed, it will have an impact on everyone involved in the supply of fuel oils, from crude oil producers to traders and terminal operators. Grappling with shifting regulations, changing fuels, and new technologies, it is imperative that ship-owners, refiners, and other key stakeholders along the marine fuel supply chain stay at the forefront of market analysis and understanding. The capital budgeting decisions made today need to be seen in the context of not only 2020 but also for the next 15-20 years. In a world where there is no “one size fits all” solution, FGE’s analytical approach looks to move the debate forward. 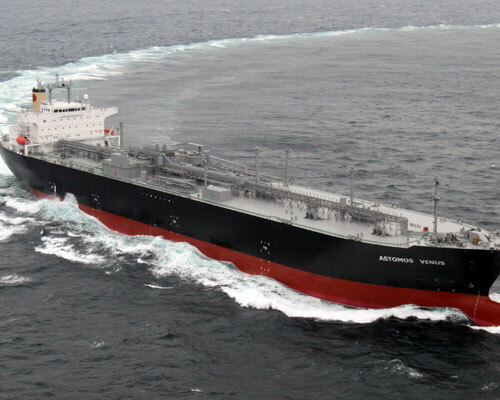 Market-leading oil market expertise and an understanding of the refining sector and fuel specifications are married to an in-depth analysis of the implications for the shipping industry, providing a holistic perspective. To what extent will the IMO specification changes impact the refining sector? HSFO disposal – Will there be a surplus of fuel oil? If so, where can it go? Global oil demand by product/sector. Long-term crude price and quality outlook. Analysis of changing supply chain and look at the strategy of big players. Impact of IMO on downstream oil product balances - shift in refinery yields required to balance the market. Global refining capacity changes (to 2025). What is the proposed outcome? Will shipping companies opt for near-term quick solutions such as using VLSFO (very-low sulphur fuel oil) or marine gasoil (MGO). HSFO supply, demand, and pricing outlook. Scenarios around scrubber uptake vs. compliance and its impact on the bunker fuel demand slate. VLSFO supply, demand, and pricing outlook. Will new ships now come with scrubbers by default? FGE consultants will be available to discuss the findings of the report either by telephone/WebEx or similar facilities. Extensive supplementary excel data sets (see website for full list of available data sets. Ship-owners Making capital budgeting decisions on their existing fleet as well as investments in new technologies and propulsion systems. Refiners Assessing the impact on their own margin economics in 2020 and beyond and the demand for marine bunker fuels. Bunker Fuel Suppliers/Traders Investigating the pricing of fuels ahead of 2020 to understand blending economics. Storage/Terminal Operators Preparing terminal operations ahead of 2020 as well as understanding the competitor landscape for bunkering operations. Charterers Examining fuel procurement strategies and seeking to manage fuel price/quality risk. Crude Oil Producers Looking at sweet/sour and light/heavy differentials. Crude Oil Traders Reviewing opportunities/risk management strategies across the barrel in 2020, as well as shifting crude trade patterns. Financiers Considering investment opportunities and returns on investment around IMO 2020 and beyond. FGE’s core analytical block for its perspectives on future developments in oil demand, supply and prices to 2040. A detailed assessment of the mid/long-term operating environment for global refining and the implications for oil products trade. FGE's comprehensive annual assessment of the global LPG market, divided between two geographical areas, East and West of Suez. To request a call back from a member of our sales team, please complete the below form.